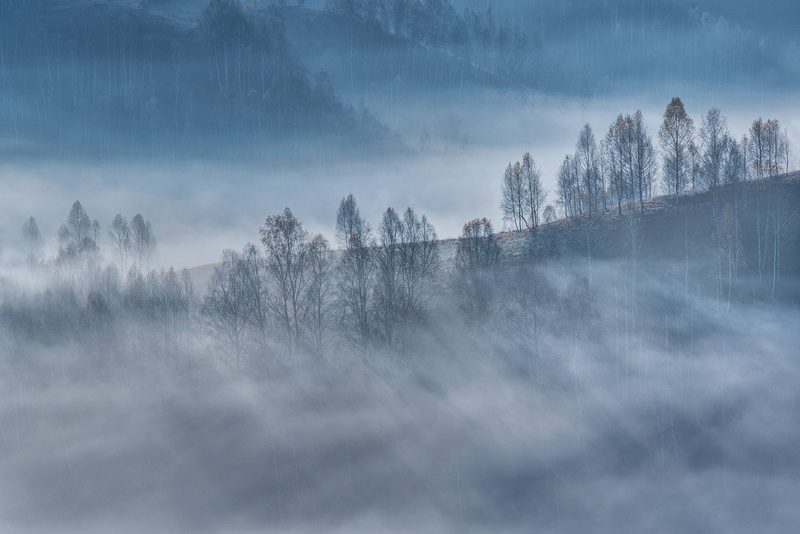 Alex Robciuc is a talented photographer based in Romania who is especially appreciated by his viral works featured by famous magazines such as Lonely Planet, National Geographic, The Telegraph, Daily Mail, The Guardian, Der Spiegel, Digital Photographer, La Repubblica or Corriere Della Sera. 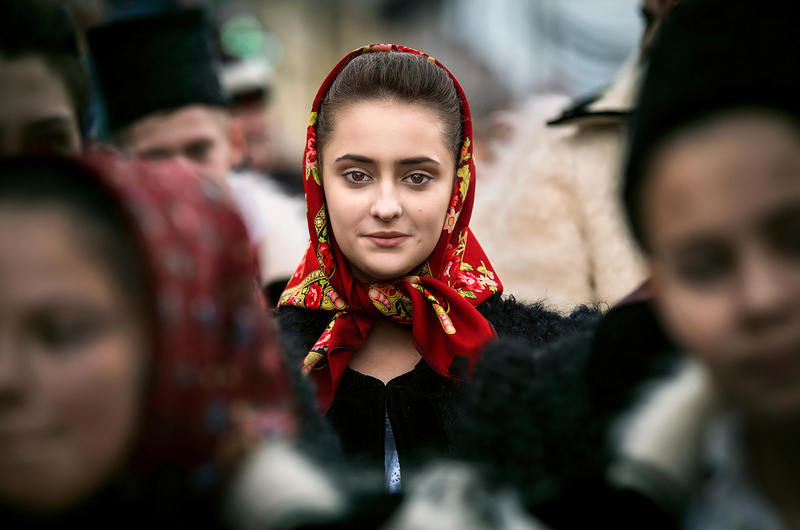 His striking images document in an unique style the picturesque countryside scenes from the remote villages of Transylvania and Maramureș, the spectacular regions of Romania. 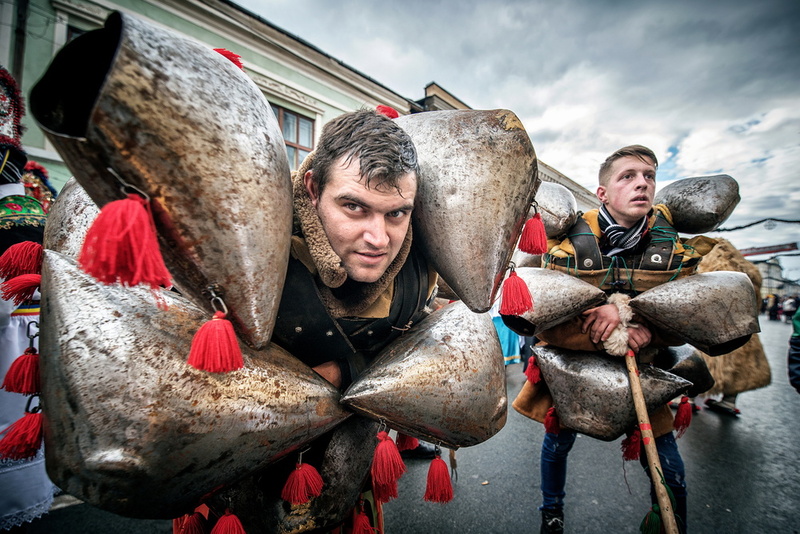 Alex is eager to carry out his mission to offer the viewers with remarkable images from the extraordinary places he visits, thus exhibiting a different perspective of his country. In the interview, I invite you to discover more on Alex Robciuc and be inspired by his stunning visual journal of the countryside Romania! Alex, thank you so much for accepting my invitation for this interview! To start, I would kindly ask you to introduce yourself and tell us shortly about Alex Robciuc – the man behind the camera! Thank you also for the interview! I was born in Maramureș, more precisely in Sighetu Marmației (Romania), 32 years ago. Although I no longer live there, Maramureș means still home to me. A have graduated from the university not far away from home, in Cluj Napoca. Currently I live in Timișoara for almost 4 years already. I work here in the photography domain, I can say that I got used myself to the new city and there are a lot of bonds connecting us. Let’s start from the beginning: when and how did you start your photographic journey? The moment when my journey to the world of photography started was sometime in my childhood. I have received a camera and considered it my favorite toy, although I knew it was a serious object, not a toy. I was somewhat intrigued by the process by which that object could later reproduce images. Later on, I sought to discover the so-called secrets of my intrigue, this time my age being an advantage, and the journey continued to the new revelations. For many of us the photography is either a hobby or a way of life. How would you define your relationship with the photography? You are right: for some the photography is a good way of spending free time, and for most of us, because of the very affordable technology, photography is a way of life, something that constantly accompanies us in our activities. In my case, it's a little different, my contact with this activity is also constant because I work in this domain and much of my free time is also dedicated to photography, as being my hobby. What would be the most important experience so far that have influenced your steps in photography? If I would mention an important moment, I would recall the one of a few years ago when my works became viral for the first time, exceeding the boundaries of the country far beyond. It was an exciting, inspiring moment that encouraged me to continue what I have started! Alex, I would say that you are exceptionally proficient in landscape photography! 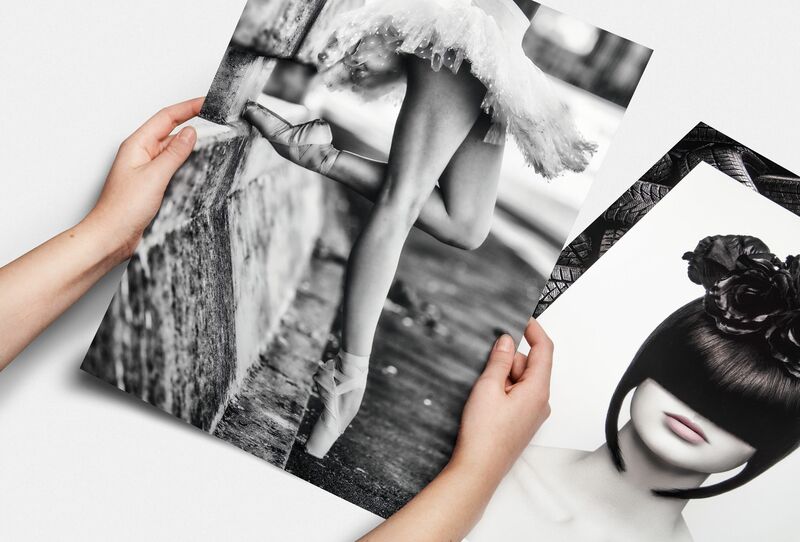 It is an area where many photographers try to stand out, but very few even succeed. What first attracted you to this photography type? It's really harder to shoot landscape photography. Here you rely heavily, if not entirely, on nature and natural elements. You have to master a few notions such as light, composition, to make a separation of the subject, because you rarely have only one and so on. For my part, I have always loved nature, I was born in a very beautiful, special area, and when I wanted to be able to convey this message, landscape photography was the best option I had! While the media sometimes portrays Romania in a not so pleasant light, you have chosen the opposite and “paint” Romania as idyllic and picturesque, full of color and optimism. How do you justify this choice of yours? Romania, like any other countries, has both good and bad aspects. 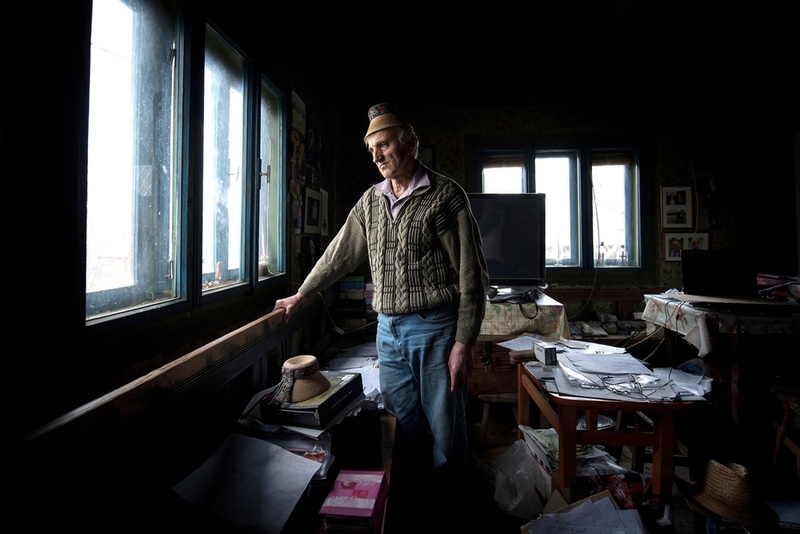 There are photojournalists in Romania that tell stories through photography about aspects that we would not always want to see, but there are also landscape photographers, among which I count myself, who present it from a different perspective. 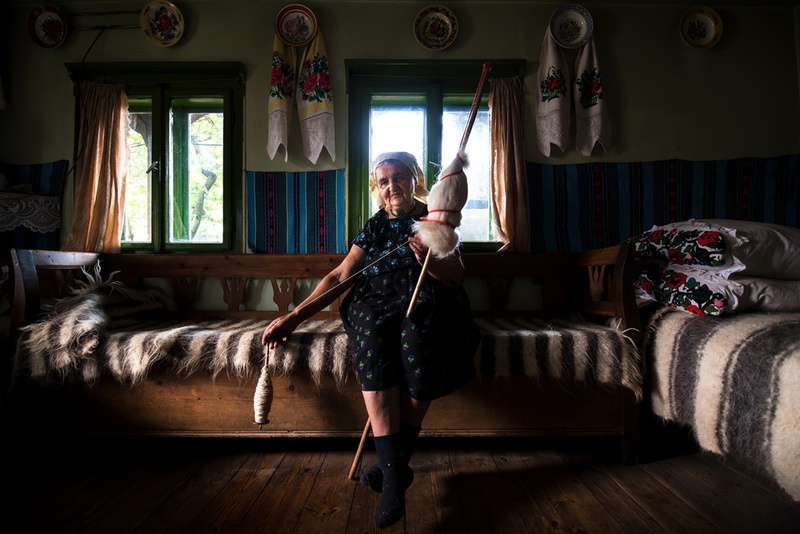 In my case I think there is the beauty, the stories, the interesting history, the traditions, the people and places that make altogether Romania to be a picturesque place. There is a lot of color for those who want to see it, and all these can only induce a good, even optimistic mood. Your photos “tell” the stories of some fabulous places of Romania and many international magazines were eager to publish them. Why do you think your works are so admired? What is your secret? Through my work I try to present something unique, different and beautiful. My photographic projects have been going on for years. I have no secrets of my work, just continuing what I have started. 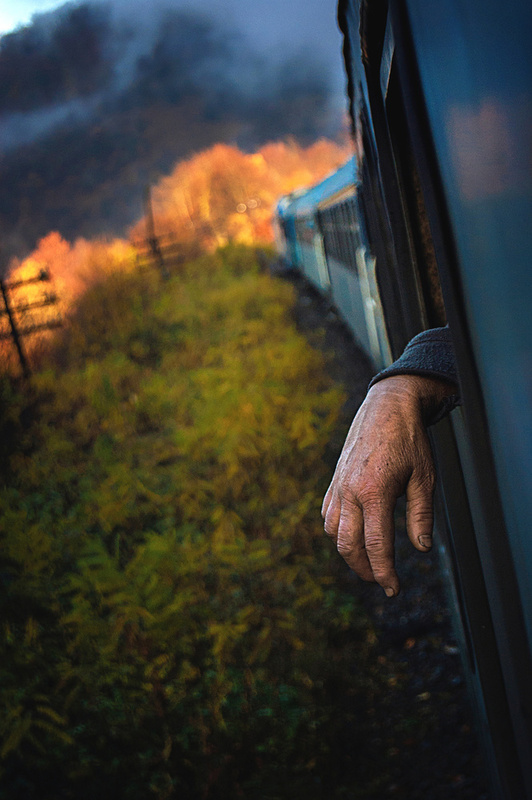 Romania is something new for the people outside. What is a habit for us, and we consider it normal to be (for example, a meadow, a carriage of animals, an old wooden church, people dressing in the ancestral clothes), for them is something new or something they thought as remaining of the history. Then, with just a click on the internet, you can see that those places are not even that far. I mean you can fly in here, then you can rent a car and see with your eyes what you liked as the landscape photo or the place behind the story. What is beautiful and especially accessible will always be of interest for people! Knowing your location while shooting landscape photography is a must. How do you approach a new location when shooting for the first time there: are there any specific subjects or compositions you are looking for during your trips? Your question reminds me of the first time I became viral with the story "I wake up at 5 in the morning to catch the best light." Yes, it is very necessary to know the location, and if not, to get to know it before starting the photo session. Each photographer sees the same thing or subject, but everyone sees it in its own, particular way. In my case after finding the location, I try to identify the point of interest, the subject I want to highlight, what the place has to offer to me when I'm there. If I'm not lucky enough to highlight the subject due to the weather conditions or unfavorable light, I plan to get back later to that place. 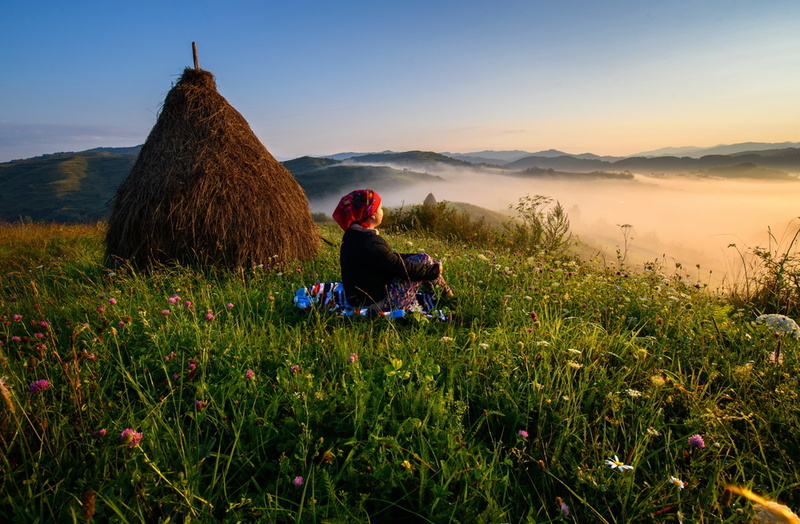 The beautiful region of Maramures is an almost constant presence in your photos, is the place you know the most and the place who inspires you. How do you choose your locations there? Do you plan in detail your photo trips or you prefer to explore and discover on the spot? As for Maramureș, I am lucky to know the area very well, so of course my photo tours to the locations there are planned. That's also when it comes to the people settlements. There are also moments when I explore on site, because the mountain areas can pleasantly surprise you with their splendid landscapes. Many are of the opinion that the gear is not very important when the passion for photography is strong. However, can you please share with us what is the gear do you use (camera, lenses, tripod)? In principle, the gear is not so important when you are at the beginning. But as you move forward, you will begin to feel the constant need for some extra accessories to help you translate your artistic vision on your camera. Not having a specific lens (tele or wide) or a specific tripod or ND filter, will make you unable to capture the image you want. I currently use a DSLR and several lenses (200mm, 50mm and 15-30mm) and accessories such as: tripod, gradual and ND filters. I’m sure that many of the beginners in the landscape photography would like to follow your way. What is your advice for them? 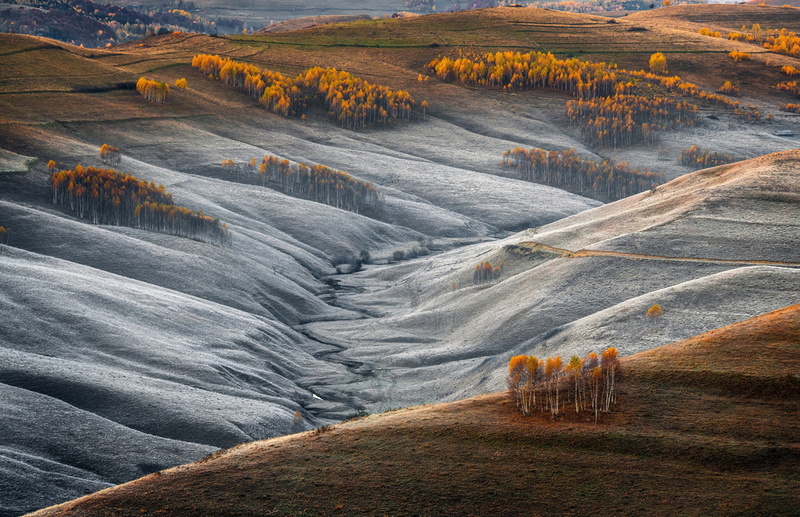 What would be the qualities of a successful landscape photographer? 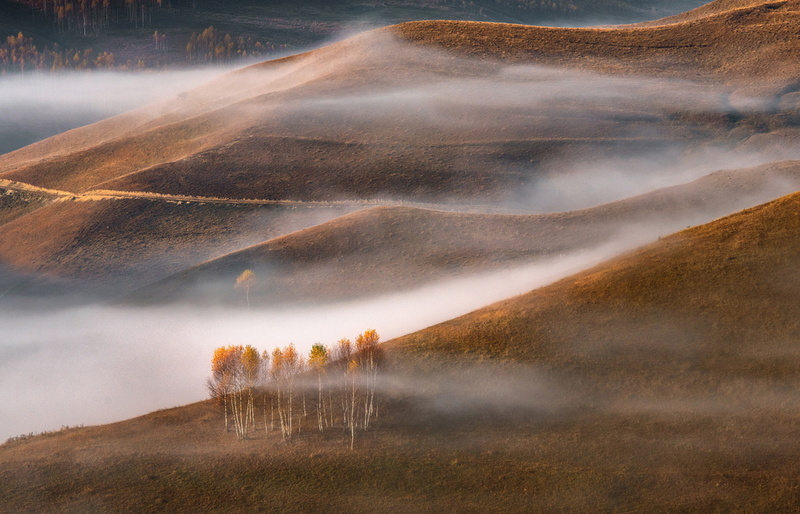 To become a successful landscape photographer you need years of experience and perseverance. Within all these years you have to find a personal style that resonates with the people who follow your work. You also need a plenty of free time to go out in nature to find new places worth photographing. Can you please tell us something more about your workflow? How much effort do you put in the post-processing stage of your photography? The bigger effort is to find new places, right angles and to find time to return to those places because you cannot always get the perfect weather conditions to capture something special. Regarding the post processing part, it was some more intense concern at the beginning of my "career", but after finding a personal style, it has become easier. Since the early stages I take the pictures with specific settings, having in mind the post-processed final version. Alex, you have joined the 1x community in 2013. Where did you first learn about 1x and why do you think 1x is different? As far as I remember I have learned about 1x from the internet forums and discussions with various acquaintances who told me about the existence of this very exclusive photography portal, where only top photos are published in the gallery. 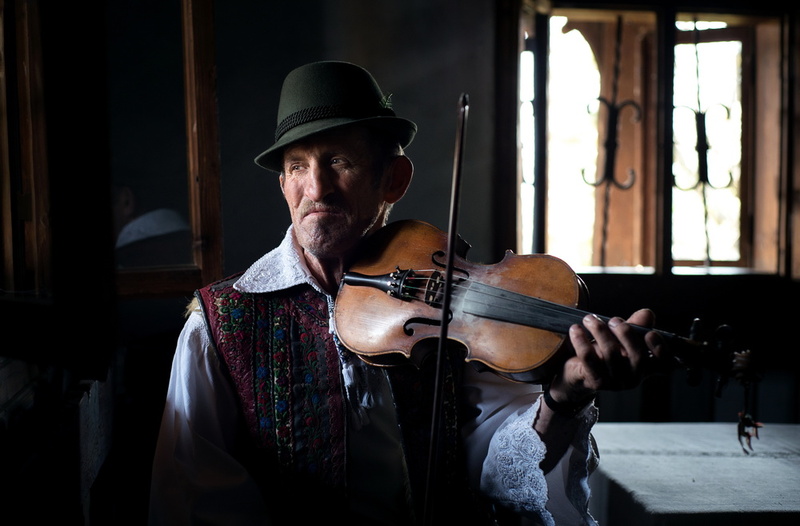 "A musician from traditional festival"
Who are your favorite photographers whose works have influenced you and your photography? I do not have an answer to this question, it would be very hard to have one. I have admiration and respect for many photographers. I discover almost weekly new photographers whose works and photographic styles I enjoy very much. What is your favorite photo taken by yourself and why it is special to you? I would answer this question with a cliché that you have definitely heard already: my favorite photo is the one that I have not yet captured. However, for me all the landscape photos taken in Maramureș are the closest to my soul. 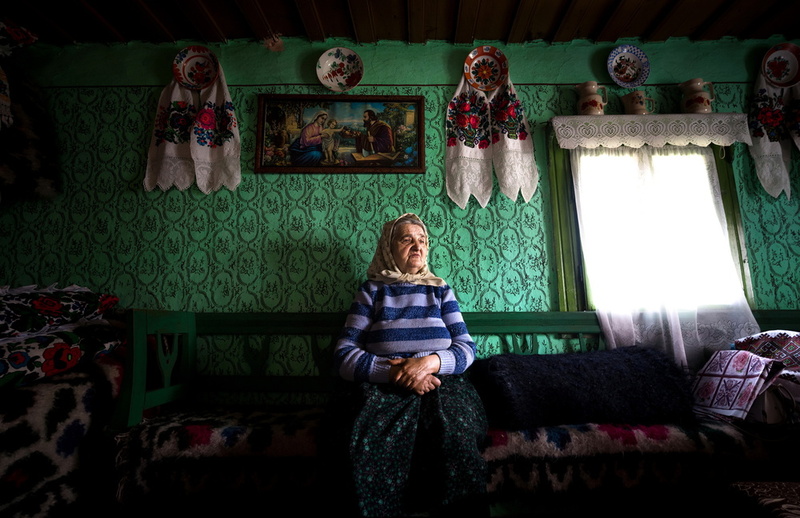 "The old lady from Maramures"
Now, since we almost reached the end of this interview, I would kindly ask you to share with us your future plans or photographic projects you would like to involve in. 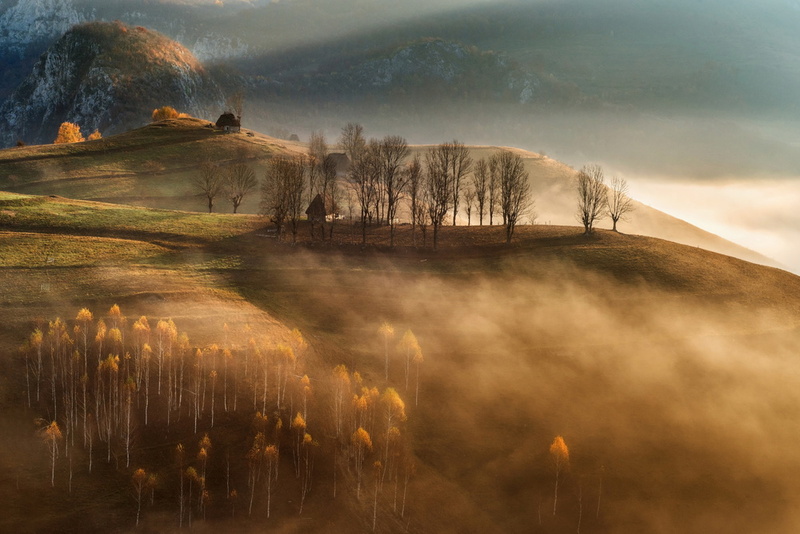 I still want to shoot in beautiful places in Romania, to enrich my portfolio with captures from different areas. I would like to offer to the viewers spectacular images from extraordinary places, thus representing Romania in a memorable way whenever I have the opportunity! I also invite those who enjoy the landscape photography to visit my Facebook page - www.facebook.com/alexrobciuc, and maybe there they will find their inspirational sources to start walking on their own way called photography!